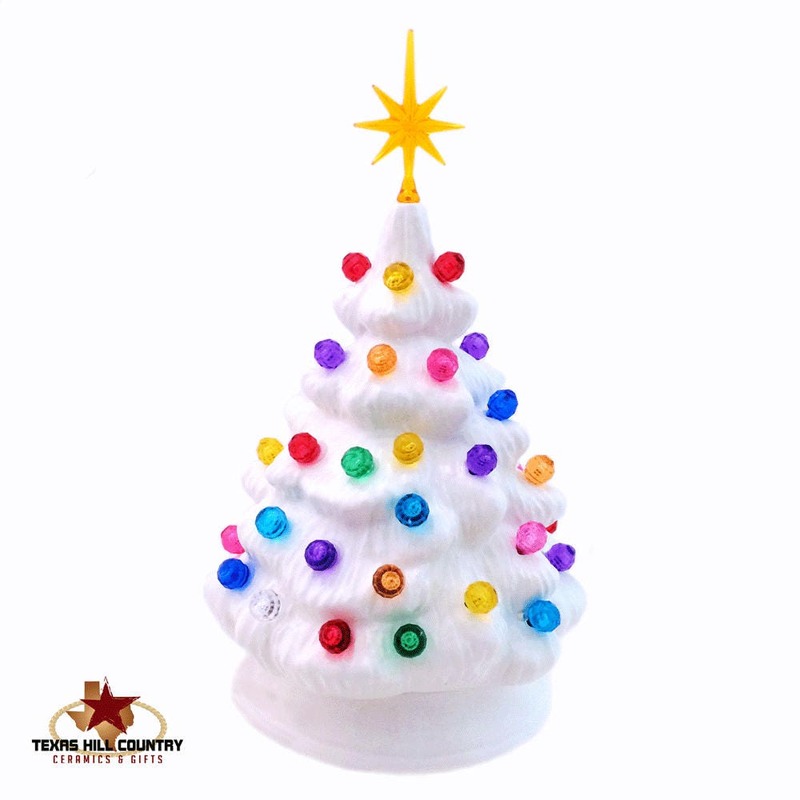 This miniature white ceramic Christmas Tree with color globe lights is bright and cheerful. 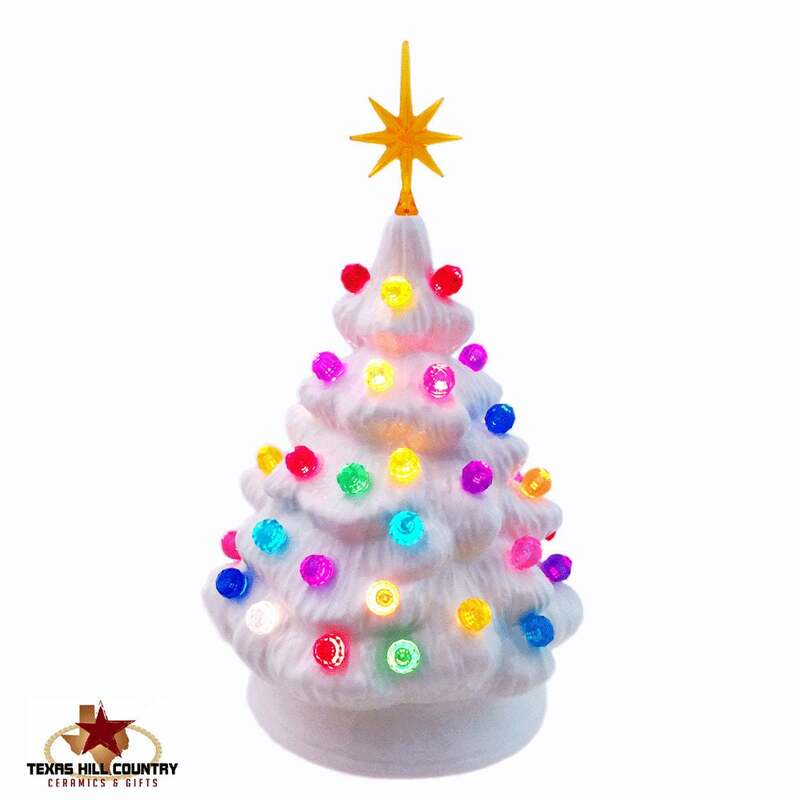 This little tabletop electric lighted tree is another style I make, it is designed for the minimalist or for those with small limited spaces. This tree is just over 6 inches tall x 4 inches wide and will easily sit on a narrow window sill, shelf, desk or entry hall table. This little lighted tree can also be used as a night light in a child’s room. .•:*¨¨*:•.Please note: This tree is made to order, the processing time needed to complete your order is noted in the Shipping & Polices tab. Once your order is completed you will be notified that it has shipped, please allow for transit time once the order ships..•:*¨¨*:•. This tree is made in my studio in central Texas. The tree is hand cast with ceramic slip using a vintage ceramic mold and kiln fired. The tree is finished with a solid white opaque glaze. Three coats of the non-toxic glaze are applied to each piece, it is fired in the kiln a second time. 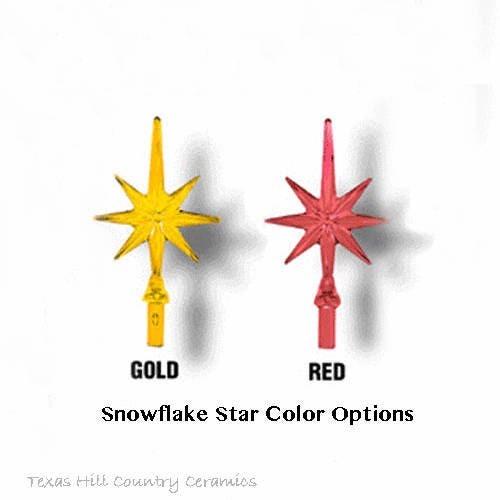 Once the tree is removed from the cooled kiln it is completed with the colorful round ornaments or decorations and a snowflake star. The snowflake star fits the size of this tree and is in perfect proportion. 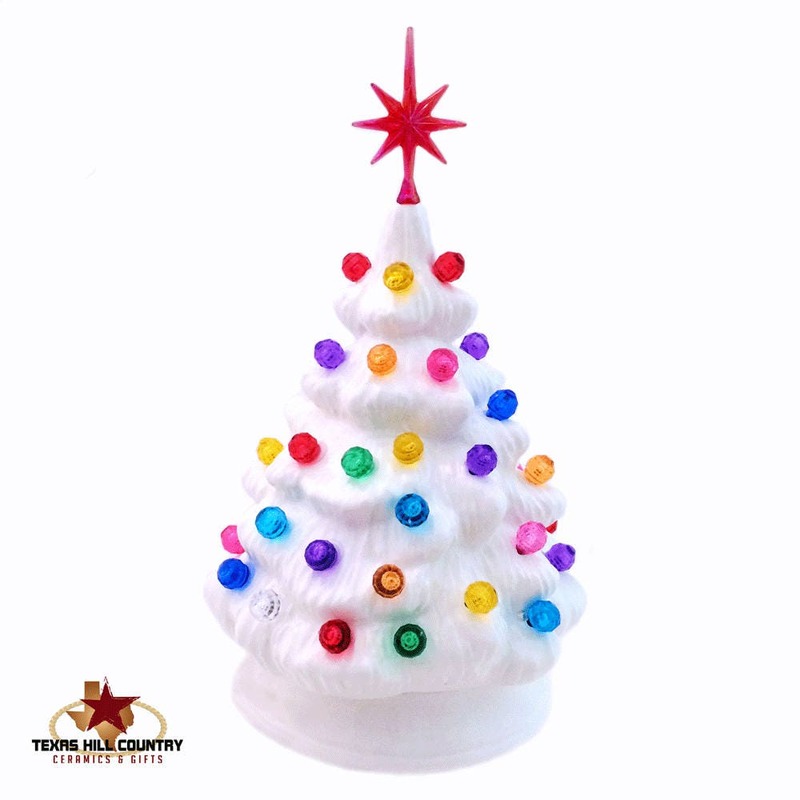 This small tree is available in a variety of colors and styles. I just love these miniature christmas trees. I now own two one of each color and leave them lit year round. Jacque does a great job, alot of lights all over the tree, quite beautiful. Will definitely return to purchase another. I recommend this seller to everyone. 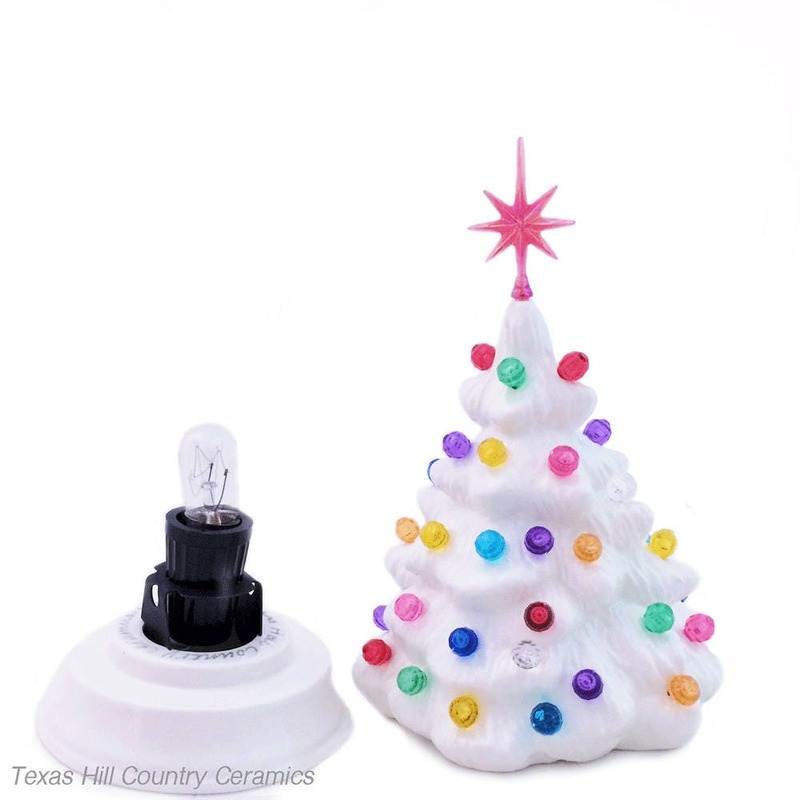 I have ordered a few trees and nightlights from Texas Ceramics. They are all beautifully created and I just love displaying and looking at them. Well made and fast delivery. We love this! It was shipped quickly, and it was beautifully packaged. Thank you! Adorable Christmas tree. Thanks so much!